Fernando is chairman of the Centre for Conservation and Research, based in Colombo, committed to making elephant conservation a reality beyond the boundaries of protected areas. 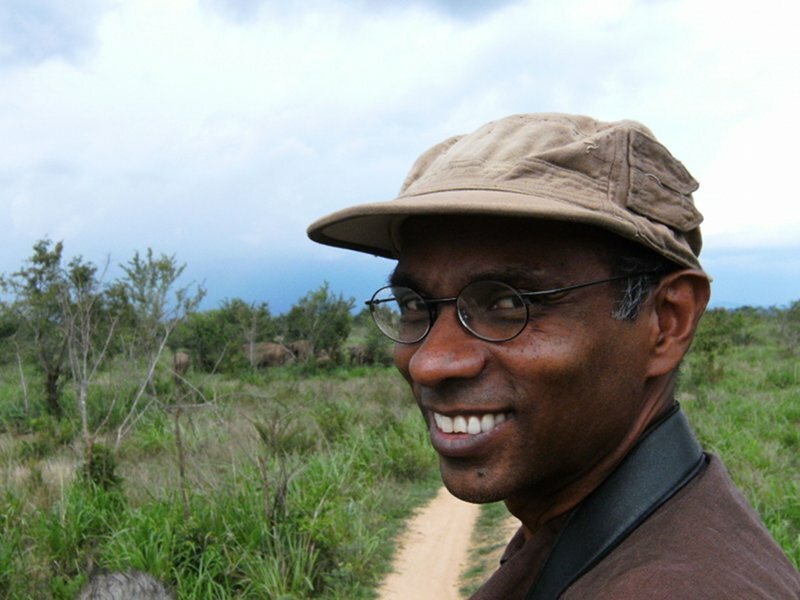 Pruthu first began studying southern Sri Lanka’s elephants fifteen years ago for his PhD, attracted by their iconic status, role in biodiversity and their impact on human lives. The challenges presented by 5,000 elephants living alongside Sri Lanka’s 20 million people puts them at the heart of socio-economic debate. It has long been recognised that the Asian elephant is in trouble. Its population has been reduced by as much as 80% in most parts of its range in the past century. Unlike for many species in decline, the cause for its predicament has been well understood from the outset: a dramatic increase in human population resulting in the occupation of former elephant territories, and the demand for ivory. Most countries in Asia have responded mainly through legal protection, but also by seeking to restrict elephants to protected areas and by fencing off farmlands to protect crops. These methods have also been applied in Sri Lanka. Nevertheless, human-elephant conflict claims on average the lives of one human and three elephants every week of the year. 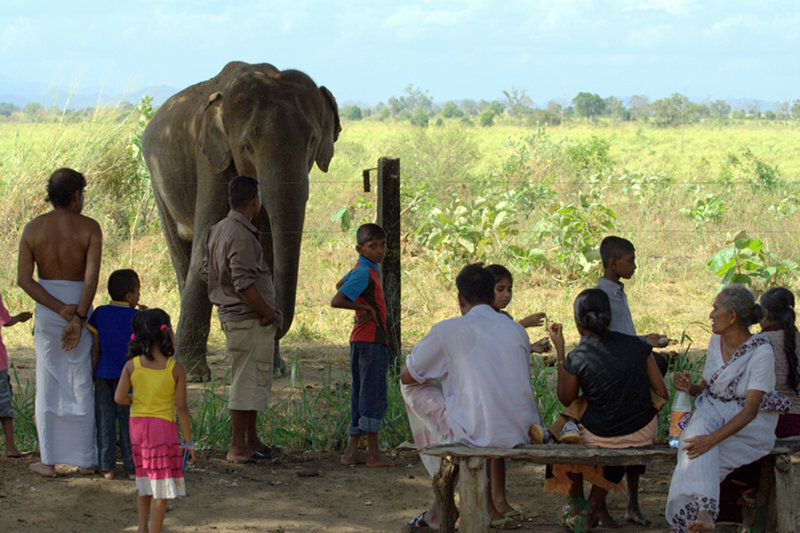 At present, Sri Lankans who share land with elephants receive no benefits but often bear costs they cannot afford. This leads communities to press for elephants to be removed. 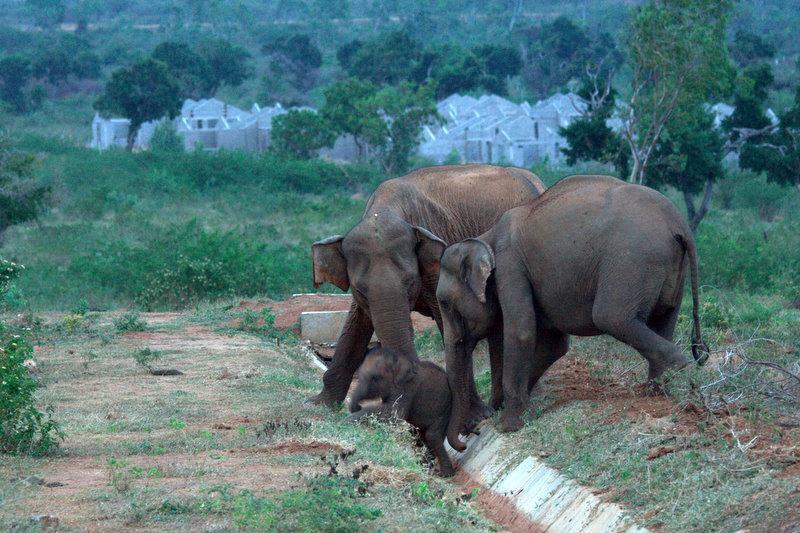 Pruthu says “In 2009, there are at least two elephant drives planned for this purpose”. It was Pruthu who first challenged the status quo. His work has demonstrated scientifically that Sri Lanka’s elephant population cannot survive in the available protected areas alone, and that a new system is called for, where elephants seasonally share farmlands, especially those under shifting cultivation. Unlike many scientists, Pruthu has done much more than simply generate science: he has been a vocal and articulate advocate of solving the problem. CCR’s most recent achievement has been to persuade Sri Lanka’s Forest Department to begin opening its land to elephants, providing official protection to two thirds of the current elephant range. At a local scale, the introduction of electric fences in some areas is reducing damage to homes and kitchen gardens. Pruthu has a deep empathy for the rural farming people. The next challenge is to work with 240 farming families to develop a working model, based on solid science. The team will help the farmers to defend paddy fields during cultivation – but then allow elephants into their fields once harvesting ends, so that the herds can move between patches of habitat and feed on left over harvest. If successful this approach could be widely replicated across Asia, with obvious benefits both to their people and their biodiversity.